An entity that is heavily indebted -- a person, a corporation, an NGO, a government, etc. -- usually loses its full independence on how to manage its own economic affairs and financing. Either it will simply default its debt, tell its debtors, "Sorry guys, I can't pay you anymore. Sue me or you must take some losses," or it will beg for a bail out by some other entities or institutions, and accept the conditionalities of those entities. If the indebted entity, like the government of Greece, will choose the second option, which is to ask for bail out from the European Union and its big economies like Germany and France, then it must abide by the conditionalities. After all, the German, French and other governments who will lend it hundreds of billions of Euros of new loans, will be taking those money from their own citizens. So it's effectively the German and other European taxpayers bailing out the Greek government personnel and other welfare dependents, the money is coursed through their respective governments. After the "successful" EU summit a few days ago where EU will lend more money to Greece government, and banks who lent to Greece will have to suffer a 50 percent cut in debt collections from that country, many Greeks are even angry at the result of the bailout. See this news report from NYT today. Demonstrators on Friday in Thessaloniki, Greece. Anger over an agreement on debt forced the cancellation of celebrations for a national holiday in the city. I was wondering, do debtors have wide choices when they are the ones who need more money from outsiders? Their government has no more money to pay for the salaries and perks of many government personnel, their government has no more money to pay for the healthcare of the sick and pension of the retirees, the other European governments lent them money so that their lives can move on, and they are angry. The best alternative actually is to stop borrowing. They have been living beyond their means, been borrowing for many years, for many decades, the problem was never solved but only exacerbated. If their government will stop borrowing and it has little or no more money to pay for the huge public spending each day, where to get the money? All governments have lots of assets -- government-owned corporations and banks, vast tracts of land, parks, universities, and so on. Privatizing many of these will raise money while at the same time, reducing the fiscal bleeding due to continued subsidies for these government-owned entities. Besides, by stopping borrowing even for just one year, the government will be able to save tens or hundreds of milions of dollars each year in interest payment alone. Citizens and government personnel including high elected officials will also be disciplined to live within their means. To spend only when actual revenues can finance them, and not over-spending then borrowing whatever financing gap even when interest rates are becoming higher and higher. High cost of borrowing actually should be an opportunity for the heavily indebted entity to say, "Ooppss, they want to charge me even higher interest rate; instead of haggling for lower rates in exchange for some conditionalities that they will impose on me, I might as well stop borrowing from them even for one or two years." Unfortunately, we seldom see such kind of attitude in many governments. Fiscal and personal irresponsibility of the past is addressed by more current irresponsibility. It is true that Greece has been imposing many austerity measures, been slashing many of the expensive welfare programs to government personnel and private citizens. But it seems that these were not enough. It seems that large-scale privatization of many government assets would be needed soon, not later, if the Greeks do not want more conditionalities, more imposition from the EU and other lender governments and banks. 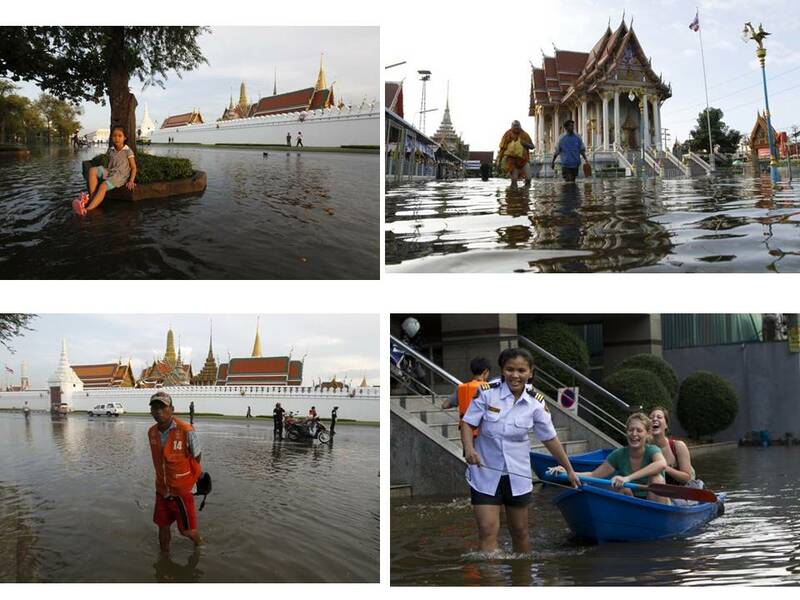 Here are photos of flooding in Bangkok, Thailand, as of yesterday and today. 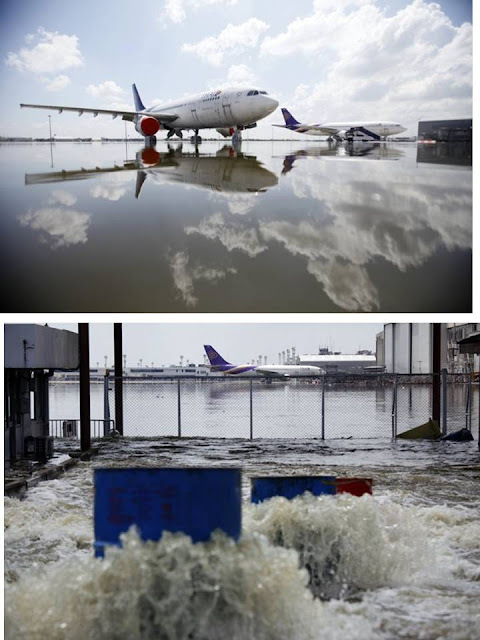 Photos taken from news.yahoo.com. Flood map as of October 26, 2011. 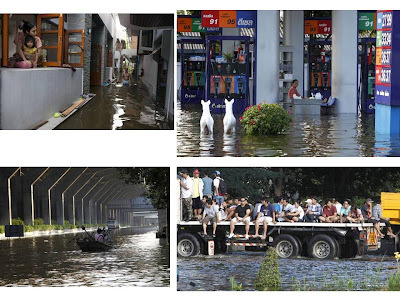 Not all of Bangkok is in danger of inundation but certain areas like Don Muang and its surrounding districts are under the direct path of huge volume of flood water. A condo, a gas station, a street under the skyway. People are lucky to be transported by huge trucks. Improvised elevated walkways have to be constructed to spare the people from getting wet feet for long. Leptospirosis is a common disease among people exposed to dirty flood water. Flooded runway and airport is clear reason why all flights and landings have to be cancelled. Monks have to endure walking the flooded streets. Before and after the flooding. Here is the sea surface temperature (SST) anomaly as of today. The Philippines, Malaysia, Singapore, Indonesia, have warmer than normal temperature, which probably explains the lack of rain, though at times cloudy sky over Metro Manila and surrounding provinces. Thailand, China have colder than normal SST. 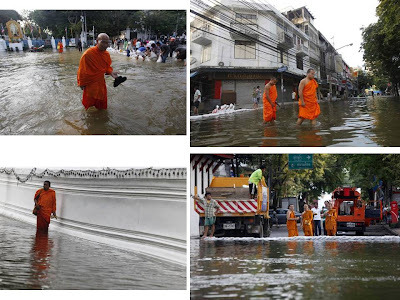 Which should partly or largely explain the heavy rains and flooding in Thailand, the monsoon rain coming from the north. 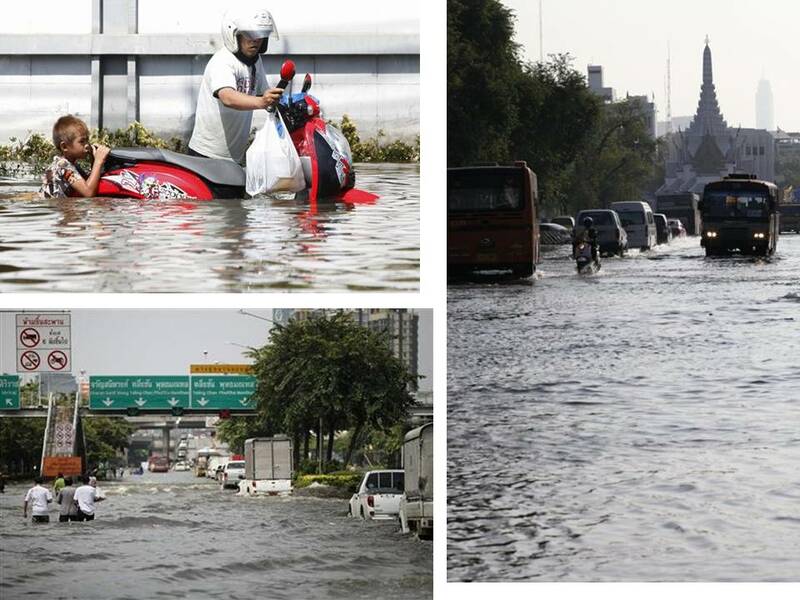 Again, I hope that people will not argue that "global warming caused this global cooling and flooding in Thailand and many other areas". The sooner that people will realize that man-made warming (AGW) is a scam, the more prepared they are in dealing with global cooling which is projected to last for 2 or more decades. Then all those endless junkets in global climate meetings and large rent-seeking activities like more climate loans, more renewable energy loans and subsidies, should finally stop. It is estimated that the world population will reach 7 billion by the end of this month. The Philippine population is also projected to be around 95.5 million by the end of this year. These developments prompt many sectors in the country to push hard for the enactment of the Reproductive Health (RH) Bill, which is essentially a population control measure. As I argued in my earlier discussions on the subject, I do not support population control, aka RH bill. Proponents and supporters are saying that there is nothing in the bill that says "control population", but if you look at the explanatory notes of those bills, they are quite explicit in saying that a fast population growth for the nearly 100 million Philippine population is bad. Hence, such fast growth should be controlled through various policies inputed in the RH bill. Proponents of the bill also say that the measure is expanding choices and options for the poor, cool. It's like expanding the CCT and ask people if they want to work to get salary or not work and still get money from CCT, that's expanding options. Or asking people if they want private education or subsidized education, private housing or subsidized housing, riding the bus or riding subsidized MRT, taxed conventional power or subsidized renewable energy -- these are all expanding options for the people. The only people who have zero option are the taxpayers who will ultimately shoulder all those endless subsidies, whether they support those programs or not. Basta bayad lang ng bayad. When there are big celebrations -- like people power revolution, big motorcades and greeters for Pacman Pacquiao after another successful boxing match, texting capital of the world, 2nd biggest facebook nation in the world, etc., big population is cool and acceptable. Governments should not subsidize personal irresponsibility, like people who have explicitly and willingly chosen poverty via laziness, alcoholism, gambling, beerhousing, over-spending, etc. 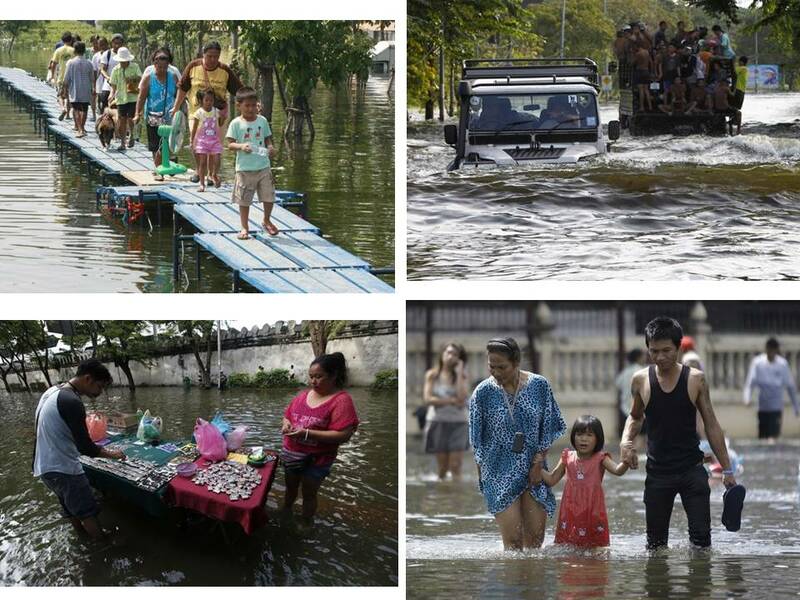 For this group of people, let poverty teach them a lesson. Governments should also not penalize industriousness and entrepreneurship, like requiring all micro and small entrepreneurs to secure all types of business permits from the barangay to city hall to BIR to DTI to SSS, etc. Criminalizing those hardworking people as illegal entrepreneurs -- and subjecting them to harassment and extortion by local bureaucrats and policemen -- simply because they did not secure all the required business permits is wrong. I celebrated my birthday yesterday, not with lots of beer and other high octane drinks plus high cholesterol food that I used to do several years ago, but with replying for hours to many greetings in facebook. So I wrote this today in my fb Note. Facebook is awesome, or can be cruel, during one's birthday. Since the evening of October 23 to afternoon of October 25 (today), I received close to 300 wall greetings and 20 fb private mails. Last year, I also received nearly 300 birthday greetings both in my wall and in private mails. I'm not sure if I replied to all greetings last year, but this year, I replied to ALL greetings. Just a modest way of thanking all my greeters and well-wishers. On top of fb greetings, I also received greetings in my yahoo and gmail addresses, by text messages. One friend from the DOH, Mhyanne, greeted me 3x yesterday, 2x in facebook and once in google chat. I told Mhyanne that she's the record holder this year of most greetings from one person. THANK YOU ALL FRIENDS. You made my day, I felt like a super star even for two days, hehehe. I am approaching the half century mark next year, meaning leaving the four decades mark. I have some regrets in life, some complaints, but the blessings and good things have definitely outweighed those regrets and complaints. I am happy with having 3 beautiful girls in my life -- my wife Ella and my two young girls, Elle Marie 5 years old, and Bien Mary 1 year old. The two kids were also born in October. I seldom look back, mainly to reminisce good things and good times with friends and family. It's always better to look forward and leave history behind as footnotes and lessons for our future action. I love my current work with Minimal Government Thinkers. It's not financially rewarding and so stable, our funding is very limited, but I find great contentment with what I'm doing there, which is to propagate the philosophy of more personal and parental responsibility in running our own lives, to rely less or nothing on government whenever possible, and for government to focus on promulgating the rule of law and property rights, then it should step back, or step out. Campaign for free market, free trade, small and few taxes. I only wish one thing in life: good health. With good health, I think many things will follow. One cannot have all the riches and wealth in the world, but one can have contentment with what he's got. I keep a very modest and humble life whenever possible. Whatever extra savings I got, I reserve it for my family, especially for my two young girls. Most of my friends and acquaintances my age have kids who are already in college, a few have graduated from the university and are working already. My kids are not even in Grade 1, so the challenge for me is big as I'm not getting any younger. The funny thing here is that about 80-90 percent of strangers who see me carrying my 1-year old would ask me, "Sir, apo nyo?" (Is she your granddaughter?). Of course I don't get mad or get angry, it's evident from my face and white hair that I'm not young to be a father to such a young girl. Besides, it's against my personal philosophy to be humble and cheerful whenever possible. While I can write more about my life and my family, I just find it impossible to get where I am now without my wonderful friends and acquaintances. One lesson I learned while I reply to all birthday greetings is that some of them are not very close to me, they were friends of friends, some I have not met personally. So I have to click on their profile to get a glimpse of when and where I have met them, or who was our common and mutual friend/s, as they took a few seconds of their facebook time in dropping a birthday wish for me. Birthdays in facebook is one cool opportunity to meet up with new and old friends. I thank facebook, I thank my friends, I thank my family, I thank my creator, I even have to thank some of my enemies, personal or philosophical. But as I age, I wish to minimize my enemies or people who think that I am their enemy. I have to change tack in my writing, to be conscious always of criticizing the message, not the messenger. But stopping from criticizing is far out from my agenda for now. I highly value my personal freedom and the individual freedom of others; I also highly insist on more personal and parental/guardian responsibility in running our own lives. So I shall continue to criticize public policies that want to reduce if not forget or hide such personal responsibilities and push for more "government responsibility" and coerced collectivism. I look forward to another friends-filled birthday next year. I also wish all my friends, even those who forgot to greet me, a happy birthday, belated or advance, and a happy life. If we find our place under the Sun, we should derive contentment and happiness, somehow. Cheers my friends and thanks again for a wonderful day. Friends like Boye make me feel rich and wealthy. Not materially or financially, just emotionally or intellectually rich. This is my article today in the online magazine thelobbyist.biz. Original title is shown. Mining of various mineral and metallic products give us computers, cell phones, tv, refrigerators, cars, tricycles, tractors, boat engines, steel bars, cement, door knobs, iron roof, nails, electrical wires, coins, and so on. Thus, all buildings, schools, shops, buses, boats, factories and other means of production, will be impossible without mining. People who oppose mining as “damaging the environment” should live in caves, or in wooden/bamboo houses with nipa or cogon roof and house joints are not connected by nails and other metallic products, and they should have no electricity. This is highly possible of course, as many people in poor rural villages still live in those structures. The question is if those vocal opponents of mining are willing to live such lifestyle, -- no computers, no internet, no texting, no tv, no electricity. I bet they will all say No. Hence, mining is necessary. Opponents can oppose certain mining practices, but they cannot expect zero destruction in the environment as it is simply impossible. Even those who put up an all wood/bamboo house with cogon roof and have agricultural plots outside with no electricity, still alter or damage the natural environment as they have to cut many trees and clear the land for such human settlement and their agricultural activities. The attack by the communist rebels New People’s Army (NPA) early this month of three mining firms in Surigao del Norte where the rebels burned many trucks, mining equipment, onsite offices and other properties was totally condemnable. The rebels and their apologists cited “protection of the environment” as their main reason for their action and did not admit to plain extortion and environmental stupidity. Extortion and banditry by the rebel NPAs is wrong. To live off on unproductive work like holding guns and shooting or burning and bombing those who do not give them money is living a purely parasitic life. The parasitism of the rebels is no different from the parasitism of many agencies and personnel in government, the institution that the rebels say they want to overthrow and replace. The only difference is that the parasitism of many organs of the State has legal basis, there are laws and regulations that allow those agencies to exist and justify their claim to taxpayers’ money which are collected by force and coercion, whereas the rebels’ parasitism has no legal basis. But both have coercive powers because both are armed and are willing to commit violence against the unarmed public if they will not oblige to the will of the two armed groups. Since the Philippine State collects lots of direct and indirect taxes from the mining firms – corporate income tax, personal income tax of officers and staff, VAT, franchise tax, property tax, business permit tax, etc. – the State has the duty to protect the property and investments of those mining firms. The State can inflict penalties against erring companies, mining or otherwise, like closing them if they do not pay the assessed taxes, if they do not secure the necessary business and environmental permits, and so on. But if the State does not do its job of protecting private property rights, what are the penalties against the inefficiency or laziness of the State? Sadly, there is none. While the AFP Chief of Staff has relieved several high ranking officials of the Army who are deployed to protect those areas, it is a very light penalty that is inflicted only on persons, not the institution. If I have my way, I will propose that those mining companies should be entitled to drastic tax credits, if not limited compensation from the government, for the latter’s negligence of its function and failure to enforce a contract – tax collections in exchange for protection of private property. In this case, the government simply collected taxes and various fees even if it was negligent and lazy to do its job. If the government is truly accountable, the agencies that were tasked to do the job of protective property rights and failed to do their tasks should suffer budgetary cuts and cut in bureaucracy, and the companies that suffered huge losses from such destruction should get tax credits or compensation from the government, then the affected companies have the option to hire private or community security forces to protect their properties, subject to existing national laws on human rights and property rights. Of course this is only a hypothetical solution as the government will never entertain such type of arrangement. The BIG government is not truly accountable. Like the rebel bandits and extortionists, the government simply wants to collect more taxes and fees, whether its agencies are doing their job or not. Lack of promulgation of the rule of law – the law on contracts, the law on private property rights, the law on human rights, etc. – is the main cause of lack of investment and economic growth in the country. Which causes high unemployment and poverty, and poverty, the rebels say, is the main cause why they are rebelling against the State. Since the State, not the rebels, have the official and formal contract with the people, the State should be answerable and accountable to the people. And the State here includes not only the elective officials but also the appointive personnel and bureaucrats, from the civilian to police and armed force bureaucracies. The rule of law stipulates the penalties against erring government officials and personnel for neglect of their duties. Since these are not followed, what we have actually is the rule of men, not the rule of law. And while the rebels may have some beef and rationale in fighting the government, their means and philosophies are equally bankrupt and violent, which immediately disqualifies them from any respect of building a civilized society today or in the future. "Leeches on both ends of the economic spectrum challenge crafters of government policy, specially when resources aren't that plentiful and have to be managed rationally. But the situation becomes even more of a challenge when these leeches are represented in the lawmaking body of the land." I think that statement is wrong. Only leeches from the socialists and monopolist-minded capitalists applaud more government intervention. Free market capitalists want zero government intervention in business. Except in business practices that result in death and harm to people's health. Like selling counterfeit or substandard medicines. Or selling expired and adulterated food and drinks. Or selling poisonous toys. Or selling bombs. Or issuing bouncing checks. All of these are covered by existing laws and prohibitions against threats to people's health and life. On another note, there was a suggestion that we still need the Bureau of Customs (BOC) to collect VAT and to police the entry of hazardous materials like guns and bombs through the ports. I believe that VAT collection can be done by the lean BIR, while checking the entry of guns and bombs is a police function, not BOC. Whether the guns come from Iran or Cagayan, whether from Russia or Zamboanga, the police should monitor and confiscate those whenever necessary. On abiding simple rules, the "rule of law" is a very radical concept. It says that the law rules over men. No one is exempted from the law, and no one can grant exemption. The law applies equally to unequal people. When the law says no stealing, then no stealing -- whether by the President or the King or the most desperate and the poorest people. No stealing, period. No ifs, no buts, no exemption. When the law says "No left turn" or "No counterf-flow" , then no left-turn or no counterflow should be allowed. Unfortunately in this country, the WORST violators of the rule of law, especially of traffic rules, are the Office of the President, the Presidential Security Group, and the police (PNP). For this group of people, there is only rule of men, no rule of law. They are the WORST violators of the rule of the law, and we call them "public servants" and we part with a big portion of our monthly income to feed those shameless and arrogant people. The President and her military escords, they are the WORST violators of the rule of law, at least of traffic rules. Shame on them. 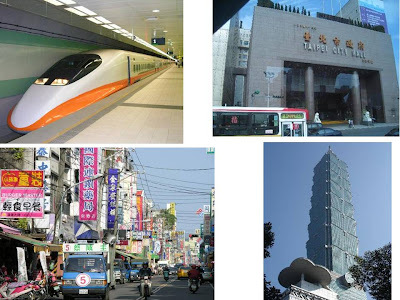 Next month, I will go to Taipei, Taiwan, to attend a conference on generic drugs in Asia. 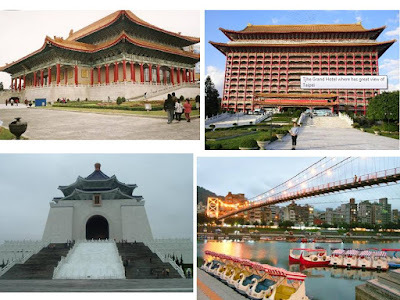 I have not been to Taiwan before, so I am excited to see this place. In the Association of South East Asian Nations (ASEAN), citizens of the 10-member countries (Philippines, Thailand, Vietnam, Cambodia, Laos, Myanmar, Singapore, Malaysia, Brunei, Indonesia) can travel to other member-countries visa-free for visits of 30 days or less. I am not sure though if Myanmar gives the same privilege to all citizens of the other 9 countries. Since Taiwan is not a member of the ASEAN, then I must get a visa even for short stay (just 4D/3N). I went to their embassy website to see the procedures in getting a visa. Notice: Online for visa-free entry into the Republic of China (Taiwan). Effective from 3:00 pm, March 15, 2011, passport holders of the Republic of the Philippines may apply for an authorization certificate online for visa-free entry into the Republic of China (Taiwan). These photos are from www.tripadvisor.com. Passport holders of the following five （5）countries traveling to Taiwan are exempt from visa and can stay in Taiwan up to thirty (30) days provided that they have never worked in Taiwan as blue-collar workers before and are currently holding valid visas or permanent resident cards of U.S.A., Canada, Japan, U.K., EU Schengen, Australia and New Zealand. Since I have a 10-years multiple entry US visa (2010-2020), then I am qualified for online visa-free entry into Taiwan. I have argued before that in really free societies, migration and visit to other countries should be free, meaning visa should be waived if not abolished, except for those with outstanding criminal cases, or have records of engaging in political violence in the past. For the latter group of people, then visa requirements should apply. This should be one incentive for people to abide by the laws of their own country as much as possible. I hope that more countries in the future will relax their visa restrictions. Despite the threats of terrorism, only a very-very small portion of the world's population is engaged or be attracted to engage in terrorism, so why punish the majority who are law-abiding people through bureaucratic and costly visa application process? Sure, collections from visa application is one source of revenue for many governments. If that is their goal, then just slap a specific fee that should not be too high that will effectively act as restriction to people mobility. Visa-free entry and people mobility, February 23, 2006. It's about the 145 countries whose citizens can enter the Philippines visa-free. 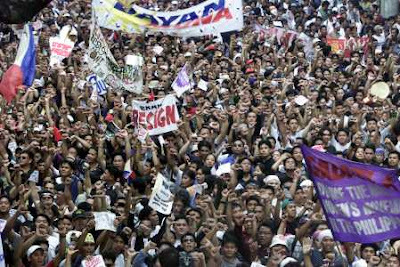 Enjoy this 13-pages long exchanges and debate among members of pilipinasforum yahoogroups about the "Edsa 2 People Power Revolution" that occurred in January 2001. Being the co-founder and co-moderator of PF, also editor of the PF exchanges that I submitted to www.inq7.net (that site is now gone), I really learned a lot from the almost daily exchange of ideas from many members of the list then. Edsa II was the successful transfer of presidential power from one section of the elite to another by the direct political action of a broad section of the population. Edsa II was by no means radical or revolutionary. Like Edsa I, Edsa II never threatened to overhaul the fundamental socio-economic hierarchies of Philippine society and never threatened to remove control of the Philippine state from the same dominant social strata. 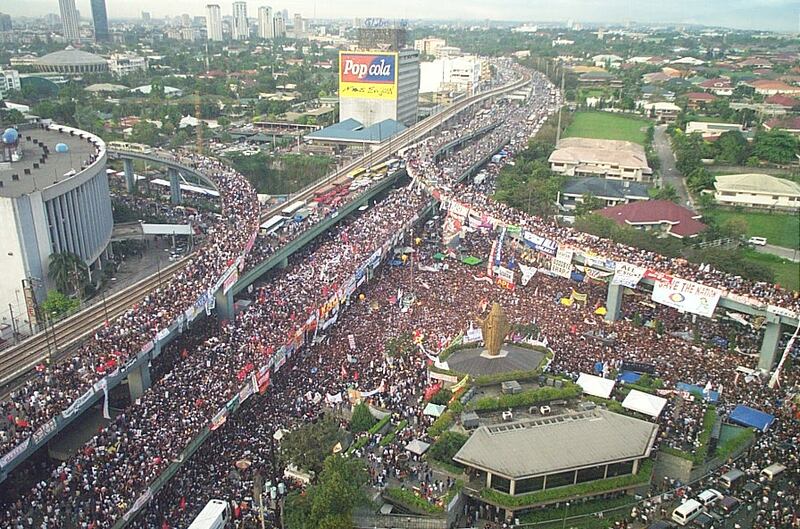 Still Edsa II was a political moment with profound historical significance. What Edsa II evicted was a presidency supported by political dinosaurs, schooled in the comfortable cradle of martial law, accustomed to an uninformed, powerless and malleable citizenry, and given to governance which allowed a robust renaissance of the cronyism, patronage, and demagoguery. a presidency which failed to grasp the nature of its own obsolescence, and which continued to dabble in desperate conspiracies and maneuverings even as the forces of modernization were already literally closing in on it. My reservations about the world "people" and "broad section of the population" is that it is liberally construed to mean each and every Filipino (or even a majority of Filipinos). without being determined by Constitutionally sanctioned means to determine the world "people" (like referendum and general elections). I believe the danger lies in reducing representative democracy to participants in Edsa 2 and in other urban areas. The logic behind the impeachment court is that since the Constitution will be removing a nationally-elected person out of his office, it should take a nationally-elected body to do it, and this is the reason why the Lower House cannot act as judges before the court, the Senate was the duly constituted authority to handle such cases. But the "people" went out of the streets and said that the Senate cannot do its job. 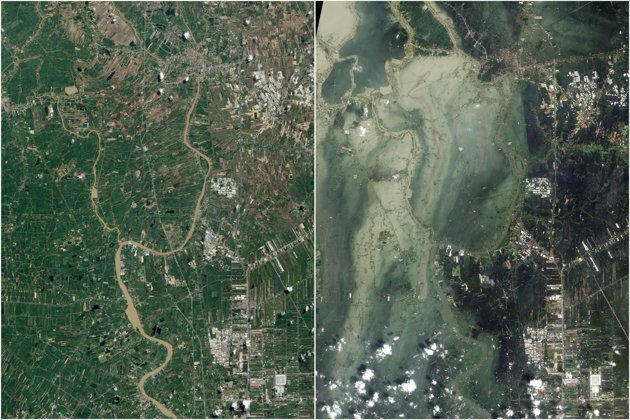 How are we sure that Edsa 2 was the "sovereignty"? We thought it was, but what if it wasn't? Institutions become weak when they fail to serve their purpose... in the crisis, their purpose was to determine the guilt of the president according to the articles of impeachment... and they were not able to execute this, ergo, institutional failure. The right to assembly is a Constitutional right, but it didn't say that we remove and replace Presidents with assemblies... so the senate compromised the process... okay, so who determines the "truth" now? As for the perception of the international community, I think, with the exception of a few, they have a positive perception with the installation of a new president. Why would representatives of different countries express their support to the administration of GMArroyo if they do not see the legitimacy of the new administration? They say history is written by the victors. Gloria Macapagal is in power, and I have no doubt that the best legal minds will be harnessed to give her Presidency every cloak of legitimacy possible. But here is the thing, if something were truly right is it so because of legal statutes and precedents. Is it so because of the ruling of one judge or even a hundred judges - or is something right because it is right, it is self-evident to any and the virtue of the act speaks for itself? What we have is only a partial victory, victory in a battle -- but not yet the war. 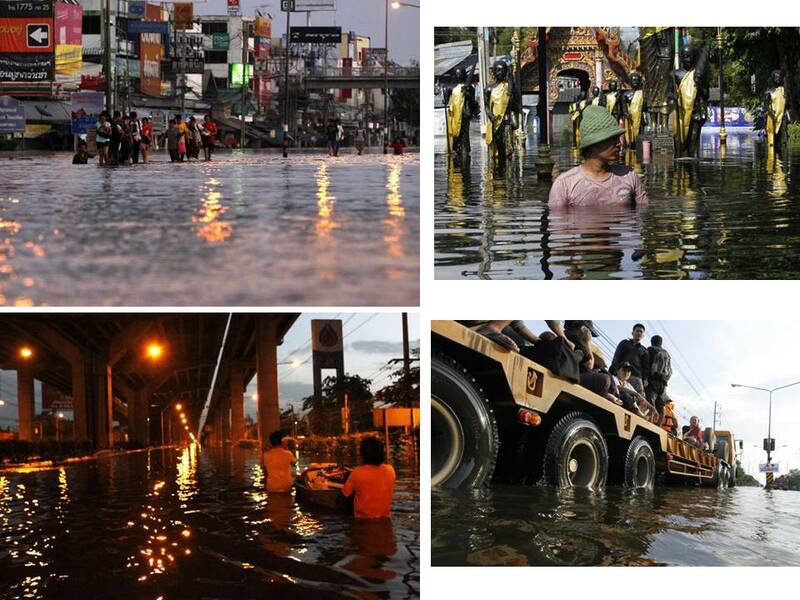 Already, some players of EDSA are acting like spoiled brats or deprived street kids grabbing for the goodies. Too much expectations on gov't give politicians and bureaucrats the reason to raise taxes, transform them into "development funds", line their pockets and just have the left-overs and crumbs trickle down to the masses -- whose leaders, in turn, cry about graft and corruption. I read these news today. Heavy drinking is costing the U.S. economy more than $200 billion a year, mostly in lost workplace productivity, a U.S. health agency said on Monday. The Centers for Disease Control and Prevention (CDC) said on Monday that in 2006 the price tag for excessive drinking was an estimated $223.5 billion, nearly 21 percent higher than the $185 billion it cost in 1998, the last time a similar study was done. Seventy two percent was due to lost productivity and the most of the cost was borne by the drinkers themselves in the form of lost income. Health care outlays accounted for another 11 percent of the total economic cost of heavy drinking, the CDC said, followed by criminal justice expenses and motor vehicle crash costs caused by impaired drivers. The CDC defines excessive drinking as, on average, more than one alcoholic beverage a day for women, and more than two a day for men. The Centers for Disease Control and Prevention study calculated societal costs from binge and heavy drinking beyond what consumers pay at the bar or liquor store. It’s the first such federal estimate in more than a dozen years. Such a huge amount of losses, economic and healthwise. Drinking, especially heavy drinking, is personal choice and decision, never a social one. If the consequences, short- and long-term, of heavy drinking is to be made social and collective, like bigger government responsibility in healthcare for lifestyle-related diseases, society can go bankrupt. That is why governments should step back on intervening and subsidizing lifestyle-related diseases. Personal choice on heavy drinking (and heavy smoking, heavy eating, sedentary lifestyle, etc.) should be coupled with personal responsibility in healthcare finance, not social responsibility. Otherwise, society will keep subsidizing personal irresponsibility. And those in various government bureaucracies, national and international (like the UN and WHO), will further exacerbate the fiscal problem with the huge public finance required to sustain their various bureaucracies, travels and other perks. Governments should also not intervene unnecessarily in the drug innovation sector, like issuing compulsory licensing (CL) or price control and related schemes, on new drugs that respond to lifestyle-related diseases. Like when there are new and more powerful drugs against liver cancer, pancreatic disorder and other diseases related to heavy drinking or heavy smoking and other vices. Lifestyle Diseases 6: Personal Care against NCDs, October 14, 2011.